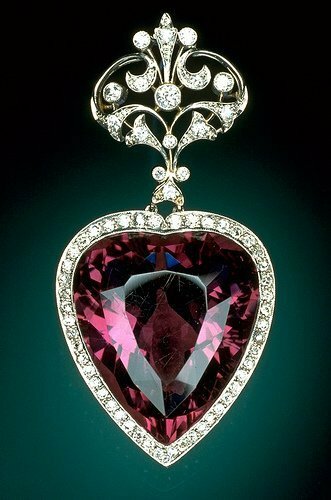 There is more to the Smithsonian in Washington DC than just the Hope Diamond. Their specimen collection is one of the finest in the country and surely worth visiting at least once! 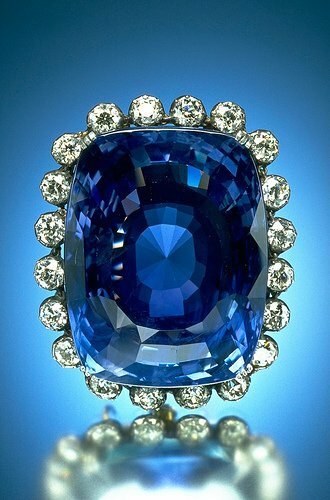 Pictured below is the stunning 423 carat Logan Sapphire, one of the largest faceted sapphires in the world. Beside the blue gem is an intoxicating purple amethyst gemstone — both pieces surrounded by white diamonds.